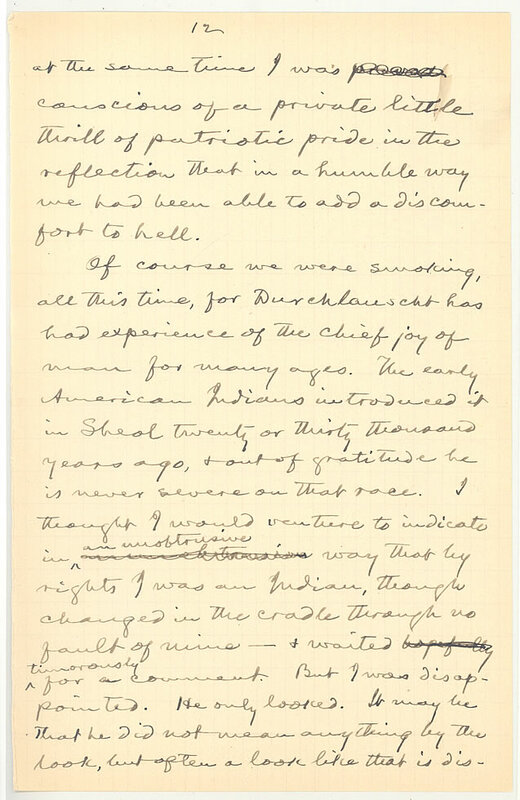 MT at Play › One Cigar at a Time › "Conversations with Satan"
This manuscript was written in Vienna during the winter of 1897-98, but not published during Clemens's lifetime. It records a meandering conversation between Clemens and Satan, whom he addresses as "Durchlauscht" (i.e., Durchlaucht, or Your Highness). The talk wanders from an assessment of German stoves to a detailed discussion of cigar preferences. 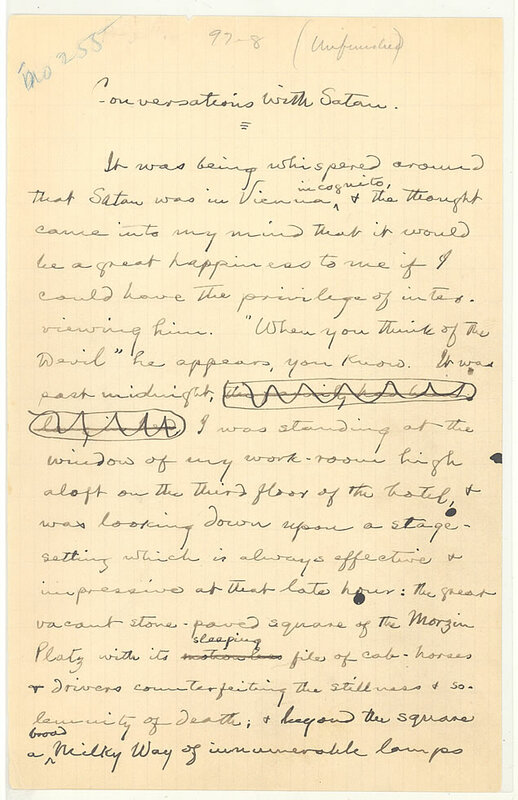 It was first published in Twenty-Two Easy Pieces by Mark Twain: Unpublished Manuscripts Selected from the Mark Twain Papers (2001) and subsequently included in Who Is Mark Twain? (New York: HarperStudio, 2009).